Sorry it’s been so long since I’ve last posted! I have been super busy moving across the country and starting my first full-time job. Even though I had a giveaway only two posts ago, here is another one to say sorry for the wait! I usually give out Riot Points, but I decided to do something a little different this time. My Pokepuff Recipe continues to be the most popular post on my site, so I figured it was time to give away some Pokemon! While I know any hint at Riot Points or Skin codes will send hundreds jumping and begging, I don’t really know what kind of a following I have for pokemon other than my popular cupcake post. That being said, there is no deadline for this giveaway and as long as you message me you’ll get one! This giveaway is currently: Closed ! And don’t forget to include your Friend Code! Note that these are cloned Hoopa. 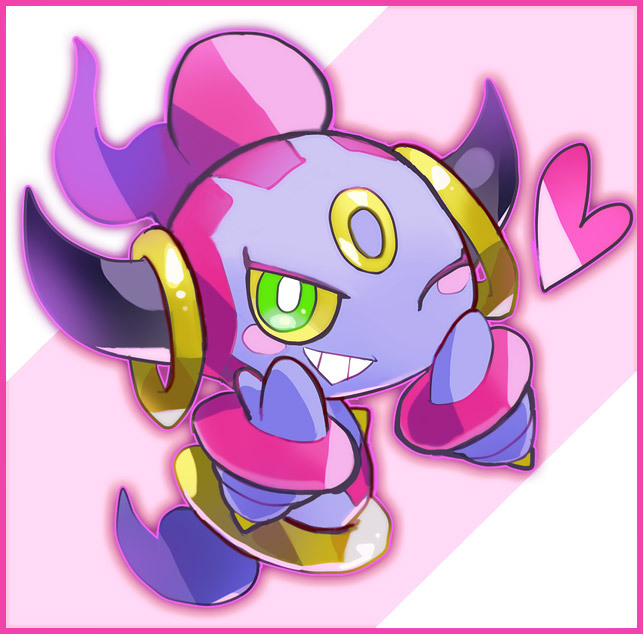 Cloned means they are an exact copy of the original, legit Hoopa. There is absolutely no way to tell the difference between a clone and its original. However, many consider this to not be a legit Pokemon!